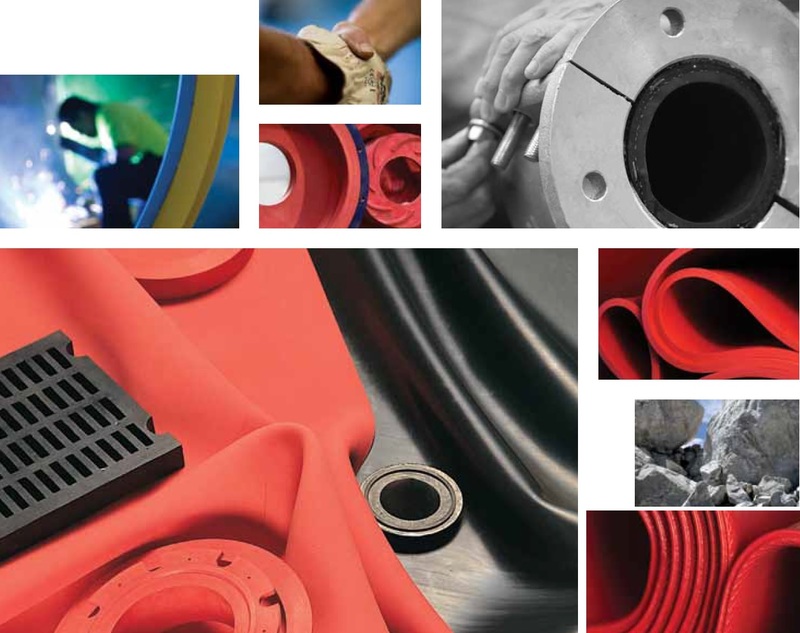 The Linatex Rubber range provides unmatched wear performance in the toughest abrasion environments. 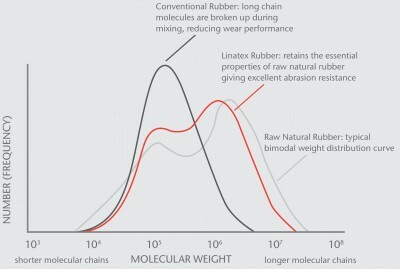 Linatex is a proprietary vulcanised natural gum rubber, produced through a unique liquid phase manufacturing process, using high quality natural latex. It exhibits outstanding strength, resilience, and resistance to cutting and tearing, giving superior performance in wet abrasion. Our sustained performance advantage in the rubber industry lies in our well-proven, patented manufacturing process. 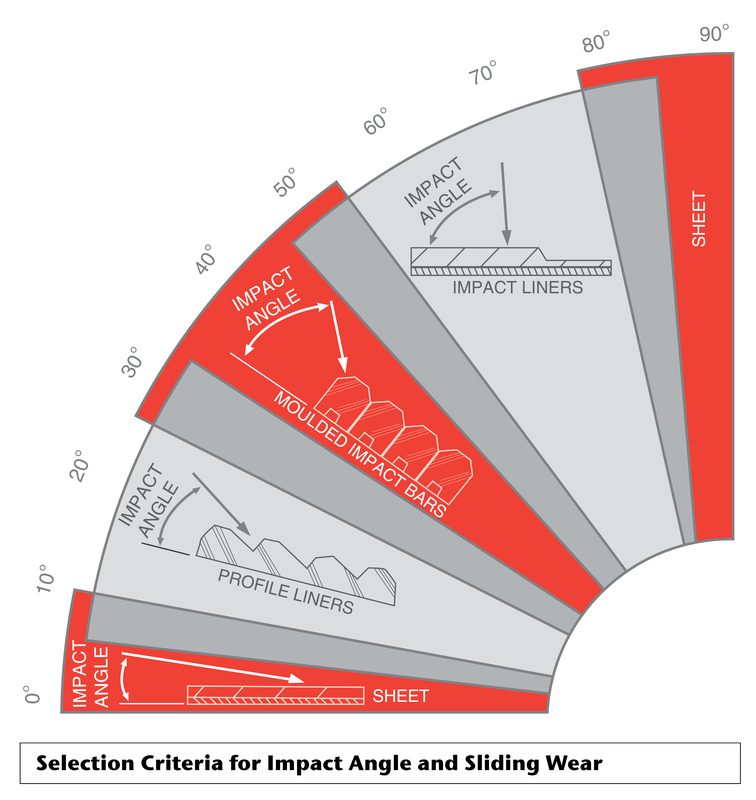 Our unique process creates a product that provides superior performance when compared to other wear materials. Our rubber products are extremely strong, tough and resilient. When this is combined with the excellent tear, cut and abrasion resistance, our rubber products are irreplaceable in high wear applications. Linatex® Premium Rubber is an amazing combination of natural rubber properties and twenty-first century manufacturing capabilities. 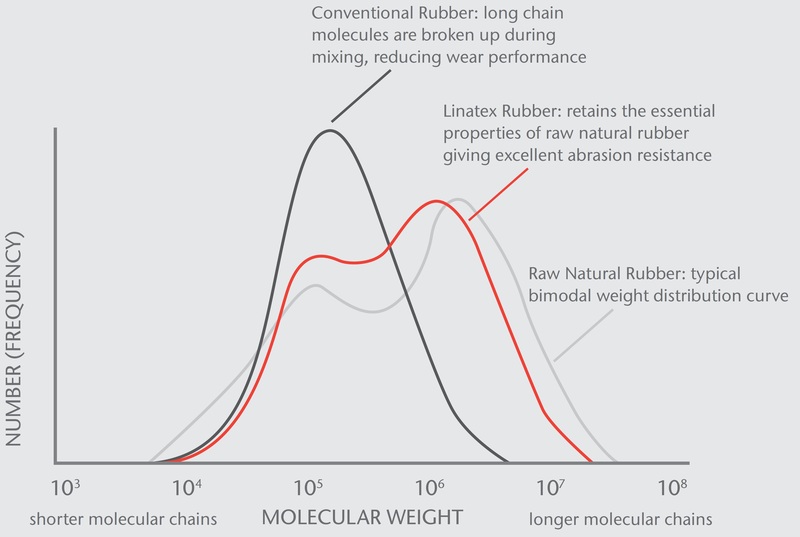 This diagram demonstrates the reason rubber outperforms steel in many abrasive environments. It is the ability of the rubber to absorb an impact and then return the energy from the impact back to the particle that results in higher wear performance. Abrasive particle striking non-elastic metal surface. Conversion of kinetic energy into impact, friction and noise. Abrasive particle striking resilient rubber surface. Rubber deforms under load and returns most of kinetic energy to the particle without rate of wear experienced above.